Looks like PSVR is here to stay. Sony is currently celebrating an important milestone for the PlayStation VR, and is sharing its jubilation with the world. 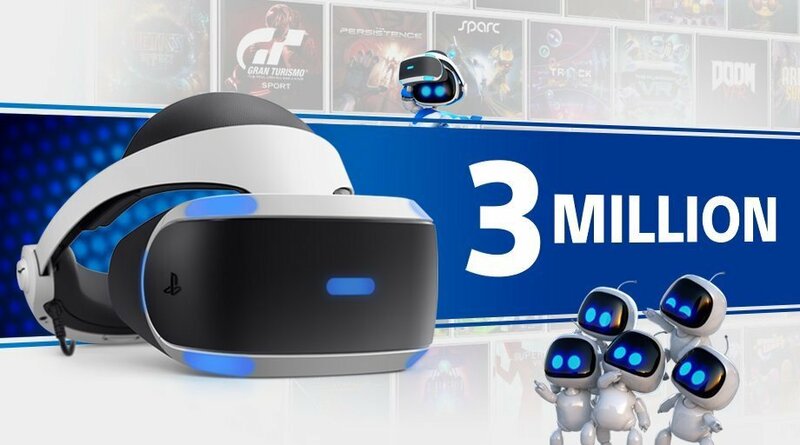 The company has sold over three million PlayStation VR systems worldwide, and 21.9 million games and "experiences," as relayed via the official PlayStation Blog. In commemoration of selling so many units, Sony has revealed the release dates of two games: Creed: Rise to Glory and Evasion, both of which will be coming to the console-based virtual reality system later this fall. First off, the VR boxing title from Survios lets you take on the role of Adonis Creed as he works his way up from relative unknown to a champion boxer. Creed: Rise to Glory is hitting PlayStation VR as of September 25, and pre-orders are now available. Archiact's first-person VR shooter Evasion tasks players with taking on the role of one type of hero class within a special operations team who are working to liberate a human colony smack dab in the middle of war. It's coming to PlayStation vR on October 9, and pre-orders are available for it as well. Plus, if you missed out on some of the top 10 most-played PSVR games (including The Elder Scrolls V: Skyrim VR on top of the list) you can hit up the Totally Digital Sale, going on right now via the PlayStation Store. From now through August 28, you can nab pre-order discounts of up to 20% off on various titles as well as 40% off on others. There's a selection of around 340 PSVR games to choose from, and plenty more to come, so if you haven't yet taken the plunge, now's a great time to do so.